It is both an evidence-based truth and almost a mantra of emergency department (ED) providers and leaders that the major cause of ED overcrowding is boarded patients. 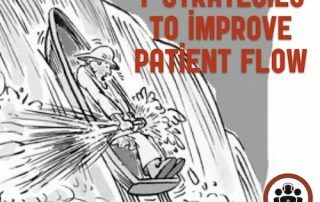 Yet 10 years of experience in more than 70 EDs has shown that impressive flow gains can be achieved despite a poor flow of admitted patients out of the ED. While I have always been and continue to be an advocate for improved admission processes and better ED resources, these issues should never excuse us from exploring our own role in improving flow in our departments. Fostering a culture in which all staff are committed to improving care through better flow will trump petty concerns about hierarchies and role descriptions—and it will improve morale.